Trina Solar ALLMAX panels offer home and business owners reliable solar power paired with great aesthetics and options to match your personal preferences. Available with black or silver frames set to black or white backsheets, ALLMAX panels pair their pleasing looks with the quality guarantee of Trina Solar and our industry leading 25-year Limited Manufacturer’s Warranty. Available in both mono- and multicrystalline options, the ALLMAX series is perfect for small rooftop systems. ALLMAX panels can generate high amounts of energy even when space is limited. As one of the industry’s most trusted panels, the ALLMAX module is a popular option for residential and commercial customers because of its reliability, pleasing aesthetics and compatibility with all major balance of system components and module electronics. The LightSpeed mounting system from Pegasus is delivered with 122 pre-assembled components, compared to ~430 components for most railed systems. Additionally, the LightSpeed system has a fast and easy levelling system, and only requires a commonly available ½” deep-drive socket to install. This system reduces the number of roof penetrations by about 25% and replaces rubber waterproofing components, which can degrade over time, with an aluminum high cone that diverts water from the roof penetration. As a vertically integrated company, Trina Solar ensures the highest standards of quality for our PV systems across the entire supply chain, to mitigate risk and increase your return on investment. 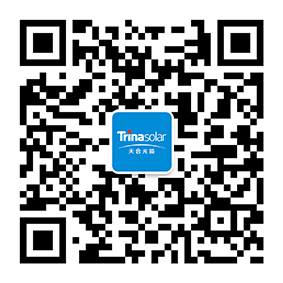 Ranked as one of the world’s most bankable solar manufacturers by Bloomberg New Energy Finance, Trina Solar has the staying power and dependability to stand behind our products for decades. As the first PV company to be awarded UL’s Client Test Data Program Certification, we are setting industry standards for safety test and quality standards.